It is well known that during the production life of oil and/or gas wells, the good formations tend to become plugged with iron sulfides and sulfates or polymers added to injection water for increasing water viscosity and sweep efficiencies. Such plugging decreases well production. In response to this problem, a well-established technique is to inject chlorine dioxide into the well. 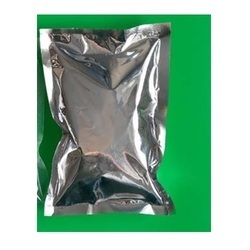 Chlorine dioxide rapidly oxidizes the naturally occurring iron compounds, and also is effective at breaking up and removing organic solids and added polymers. Iron Sulfide (FeS) - ClO2 destroys the FeS it contacts. The fees will not re-precipitate, as it can with conventional acid jobs. Bactericide - ClO2 is a biocide that kills bacteria by destroying the bacteria's cell walls, leaving the water sterile. Polymers & Residue - ClO2 breaks most frac & polymer flood polymers and reduces or eliminates polymer residue. Hydrogen sulfide (H2S) - ClO2 oxidizes on contact, reducing H2S levels significantly. Since ClO2 destroys bacteria, bacteria-generated H2S can be dramatically reduced. ClO2 is dispersible in oil, water, and organic solvents. 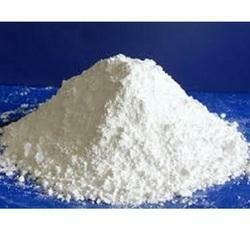 We are reliable manufacturer and supplier of high-quality Paper Chlorine Dioxide Powder. The offered chlorine dioxide is formulated using supreme quality chemical compounds in compliance with set quality standards. 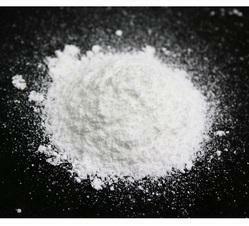 The provided dioxide is widely used in pulp and paper mills for bleaching process and is also very useful for treating wastewater and other process streams. In addition to this, we offer this dioxide in various packaging options to our precious clients. Chlorine Dioxide Powder is an interesting alternative to Chlorine because of the completely different relationship involved, between action and reaction. Chlorine dioxide produces no organic, chlorine compounds with those contaminants most frequently found in water, e.g. Chloro phenols or halogenated Hydrocarbons (for example Halo forms such as Chloroform which is considered carcinogenic).The compounds formed from the reaction of Chlorine dioxide with organic water contaminants are therefore largely negligible in terms of sensory or toxicity considerations. This makes Chlorine dioxide an ideal disinfectant for the treatment of drinking water and process water or for circuit water systems. Chlorine dioxide is effective against water bacteria, viruses, cryptosporidium, giardia, botulism. e.coli. & cholera. Chlorine dioxide is an oxidant that is preferred by many regulating water utilities and supply authorities for final discharge disinfection. Chlorine dioxide controls bacteria such as E. coli and other coliforms. It does not accumulate in the environment and can be used to reduce the growth of troublesome biofilms, iron bacteria, algae and other organisms known to contribute to wastewater and effluent fouling problems. Chlorine dioxide can also help reducing Biological Oxygen Demand (BOD) and foul odors in wastewater, without producing chlorinated by-products such as THM and HAA. Chlorine dioxide is effective against many pollutants found in wastewater, cyanides in wastewater, nitrites and sulfides, potential carcinogenic substances such as 3,4-benzopyrene, iron, and manganese in water, tastes, and odors produced by algae, the dyes produced by chlorophyll and plants and pesticides. Chlorine dioxide is highly effective in controlling waterborne pathogens. Chlorine dioxide is a broad spectrum micro biocide as effective as chlorine against viruses, bacteria, fungi and more effective than chlorine for the inactivation of the encysted parasites giardia and cryptosporidium. Chlorine dioxide is also an effective control strategy for taste, odor, color, iron and manganese removal. 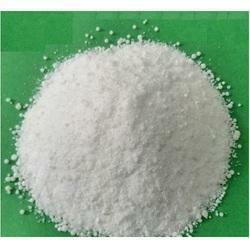 Looking for Chlorine Dioxide Powder ?